My Work was Featured in the Journal of Cosmetic Dentistry! 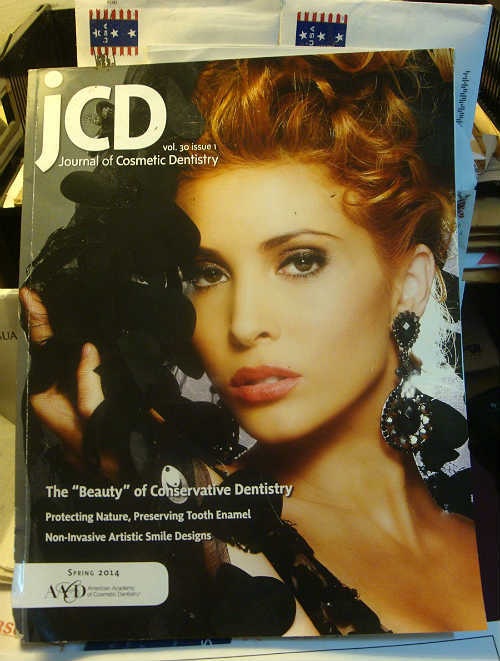 One of the cases I recently worked on was featured in the Journal of Cosmetic Dentistry (JCD)! 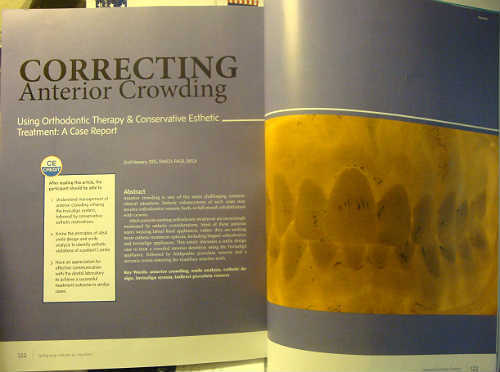 Of course, the title for the case report, on page 122 of the JCD, sounds doctor-like -- Correcting Anterior Crowding: Using Orthodontic Therapy and Conservative Esthetic Treatment. That's a mouthful, especially if you're not a dental geek. That's really the point of the case report. The patient in this report had crowded front teeth, but it wasn't severe. Even so, it was something that bothered him most of his life and affected his self-esteem. On page 131 under Figure 16a it says, "Pretreatment; the patient's reluctant attempt to smile." 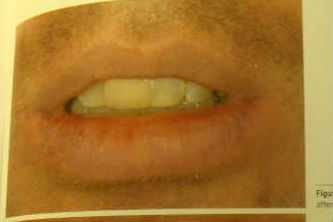 Getting his smile corrected, without traditional braces, was a fantastic option for him. Dentists, if you'd like to publish your work and want the aid of a great dental lab technician, contact me. The featured dentist is Dr. Emil Hawary, DDS, FAACD, FAGD, DICOI. He wrote the case report, designed the treatment plan, and is the dentist who worked on the patient. I'm the dental lab technician who handcrafted all the restorations. Most of the pretty pictures of the patient's teeth are my handiwork. Understand management of anterior crowding utilizing the Invisalign system, followed by conservative esthetic restorations. Know the principles of ideal smile design and smile analysis to identify esthetic violations of a patient's smile. Have an appreciation for effective communication with the dental laboratory to achieve a successful treatment outcome in similar cases. I'll skip the science and medicine described in the report. Just know that cosmetic dentistry has many techniques to get patients the look they want or need. If you have overcrowded front teeth, you may be able to straighten them and get a more attractive smile without traditional braces. Every situation is unique so you'll need to speak to your dentist for specific recommendations. And don't be afraid to get a second opinion for any treatment you're considering. If you need to find a dentist, start here.